Professor Dr. Rumen Benchev MD- Head of Department of ENT at Hill clinic. Prof. Dr. Rumen Benchev is a specialist in otorhinolaryngology at Hill Clinic with over 20 years of experience. 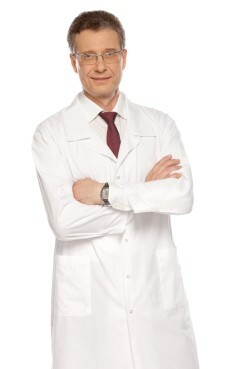 He graduated in medicine from the Medical Academy in Sofia in 1982. He has worked at the ENT clinics of University Hospital Tsaritsa Yoanna – ISUL, First Multiprofile Hospital for Active Treatment in Sofia as an assistant professor and chief assistant professor, as well as at the Interior Ministry Medical Institute where he held the positions of head of clinic and deputy director. He organized and delivered lectures at the first international otorhinolaryngology course in rhinoseptoplasty – in Borovets, 2009. He is the author of over 100 research papers in Bulgarian and foreign journals. Specialization at ENT Clinic in Utrecht, the Netherlands (1994) – functional and corrective surgery of the nose. Specialization at ENT clinic in Graz, Austria (2003) – functional endoscopic sinus surgery. Specialization at ENT clinic in Bochum, Germany (2005) – functional endoscopic sinus surgery. 1. International course in functional and corrective surgery of the nose – June 1994, Utrecht, the Netherlands. 2. International course in aesthetic nose procedures – 2002, Ulm, Germany. 4. International course in endoscopic sinus surgery – 2005, Bochum, Germany. 5. International course in aesthetic and functional nose surgery – 2008, Bologna, Italy. 6. Master course in aesthetic nose surgery and endoscopic sinus surgery – 2009, Milan, Italy. 7. International course in laser surgery in otorhinolaryngology – 2010, Namur, Belgium. 8. International course in advanced endoscopic sinus surgery – 2011, Kajetany, Poland. 9. Health management. Military Medical Academy, Sofia, 04.03-19.04.2002.